The gorgeous new Compact range for Britton features stunning ceramic pieces designed to maximise the use of space in your bathroom. 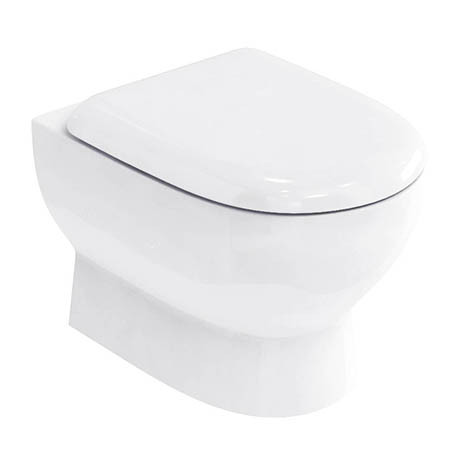 This wall hung toilet has a projection of 480mm which is shorter than the other wall hung toilets within the Britton range. A durable carbamide soft close seat is also included. All of Brittons WC's have Nanoglaze in the bowl. Nanoglaze is a coating that reduces microscopic pores in the ceramic surface - making the ceramic smoother - as a result less waste 'sticks' to the ceramic - making cleaning far easier. Use in conjunction with our range of concealed cistern wall hung frames (sold separately).